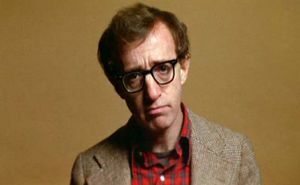 Woody Allen (born Woodrow Wilson "Putz" Kaliningrad), 1951; nickname, Schlongy) is a neurotic, self-obsessed, potty-minded, sexually repressed, auteur. He's also allegedly Jewish, but the smart money is that he is really Swedish-by-proxy. For those without comedic tastes, the so-called experts at Wikipedia have an article about Woody Allen. Allen makes motion pictures, which is ironic, because they feel like they take forever to get through. Between the unrelenting courtship, the neverending angst, the predictable elusiveness of sexual fulfillment, well, let's just say they're neither Fast nor Furious, and all of the chase scenes take place in taxis. The chicks wear peacoats, and there's not a shot of knee-high leather or sideboob in a one of them. 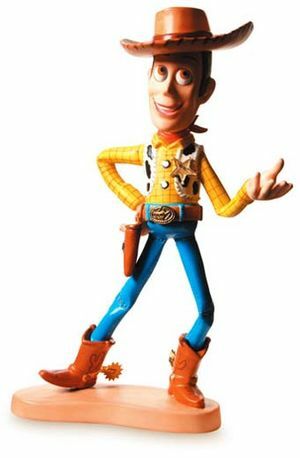 Woody as a young noobish. 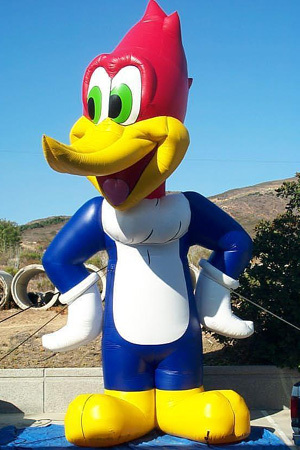 Woody was born in Manhattan, a ball of self-doubt, snot, and peanut allergy from the very first squeak. As a young child he was prone to fits of introspection, refusing to finish his Cheerios until someone explained to him the logic of naming a sugarless circle of breakfast cereal after an emotion signifying happiness. Young Woody had few friends. In middle school, Woody started a film club, taking ample advantage of the coterie of 12 year old girls who took an interest in his screenplay. Woody soon realized that film was not merely a refuge for boys so socially awkward that their closest companions were spot projectors nick-named Arnie, but also a way to meet ladies. The use of overly intellectual art as a tool to get laid is a recurring them of Allen's life--I mean movies. As a high school student, Woody honed his game on the rough streets of the Upper West Side (West siiide), between dirty 3rd and Amsterdam. Puberty was not kind to him, but a regular rotation between his best boy grip and the third clarinetist in the weekend orchestra provided him with what he came to call, "artistic relief". Don't ask why the shtick works; it just does. It's got something to do with men wanting to watch someone even more pathetic than them seduce women who are even younger than their children. And women wanting to watch a guy so emasculated that all of their issues dissolve away in their movie seats as they imagine riding that withered excuse of an artiste to ecstasy. There is a classic Woody Allen gimmick where he thinks about things in society that everyone knows but few say out loud. For example: [Walking around New York City] Why is it that people who drive never cross the line in the center of the road? I always worry about that. I mean, it's just a line. Just some yellow paint. We draw outside the lines. But we won't don't drive outside of them? Why is that? In a day when Socrates is a Halo handle, this schlock passes for philosophy. The crazier thing is that the earnest, sugar-sweet heroines of Woody Allen's movies actually go (down) for just this kind of man. It's as if all their lives they secretly wanted to bone their dentured, spelling-bee winning grandfather and then one day Woody shows up on the subway seat next to them wearing a brushed corduroy blazer holding a lukewarm cup of Earl Grey, with a leather-bound Proust and a laminated pocket-copy of the Kama Sutra in his manpurse. Serendipitous! Seriously, Woody Allen is a great guy, because he pulled off what most of us can only dream of: turning our petty, self-centered, existential anxiety into a lifestyle that pays. Good on ya' mate. I mean Putz. OK. I haven't Tried Rome Yet and Fellini is One of My Favourite Directors (2012).